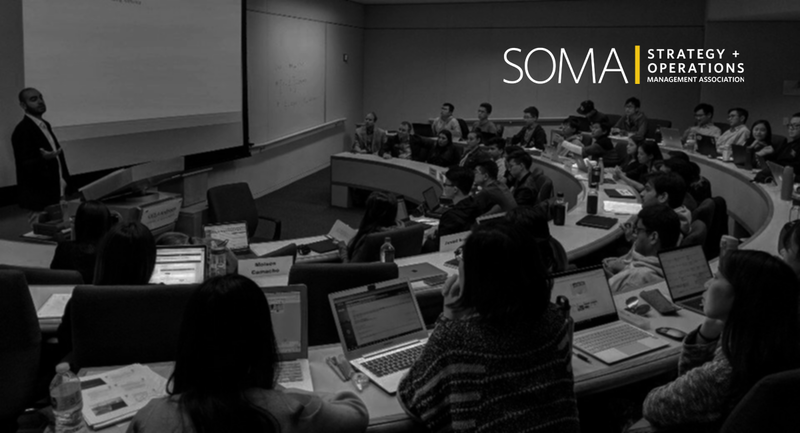 Prospective and New Students, get in touch to know more about club activities, how SOMA could help you get through your search for the right career in Operations, Internal Strategy and Analytics, and how you could get involved! To become a member, head to Campus Groups page now and sign up! We value our SOMA alumni and are always happy to host them back on campus or at one of our many happy hours. If you are interested in sharing your experiences with current SOMA members, please contact us! I joined SOMA as soon as I started at Anderson because I wanted to gather as much information as possible about strategy and operations. While I came from a financial operations job, I was surprised by the variety of roles that fit into the SOMA realm. The club did a great job of educating me and helping me succeed in transitioning to a new industry. The resources and people involved in the club made the recruitment process much easier than if I had not joined SOMA first year!